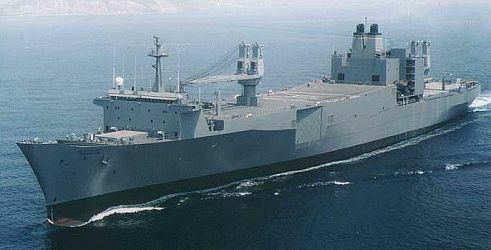 Named after the white star which is part of the constellation Leo, the REGULUS is the sixth ALGOL - class fast sealift ship. 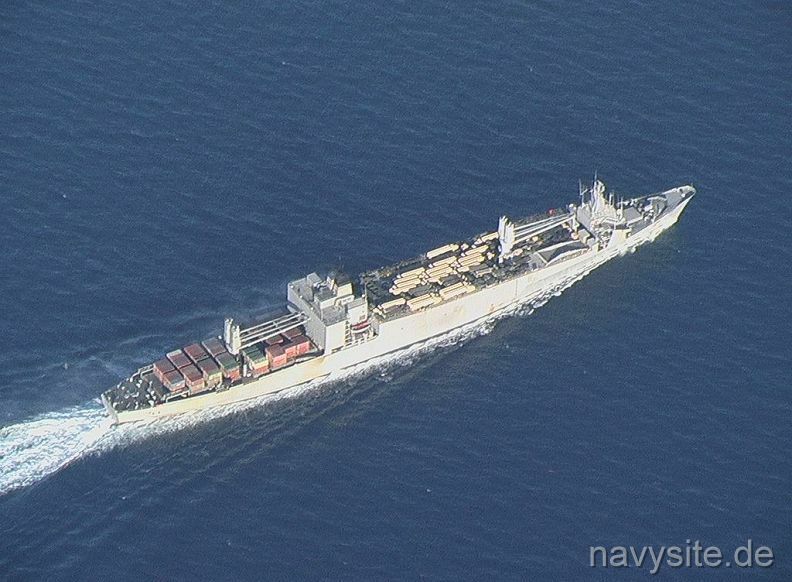 Ships in that class are the world's fastest cargo ships. Originally built in West Germany in 1973 as SS SEA-LAND COMMERCE for Sea-Land Services, Inc., Port Elizabeth, N.J., the ship was purchased by the Navy in 1981 and converted. The cargo hold was redesigned into a series of decks connected by ramps so that vehicles can now be driven in and out of storage areas for rapid loading and unloading. Four cranes were installed - twin cranes amidships capable of lifting 35 long tons and twin cranes aft capable of lifting 50 long tons. 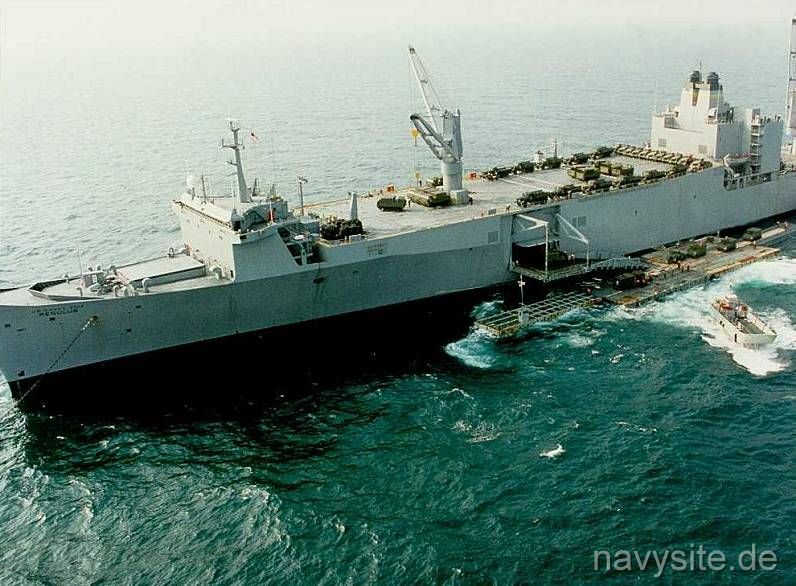 The REGULUS was delivered to the Military Sealift Command in 1985. 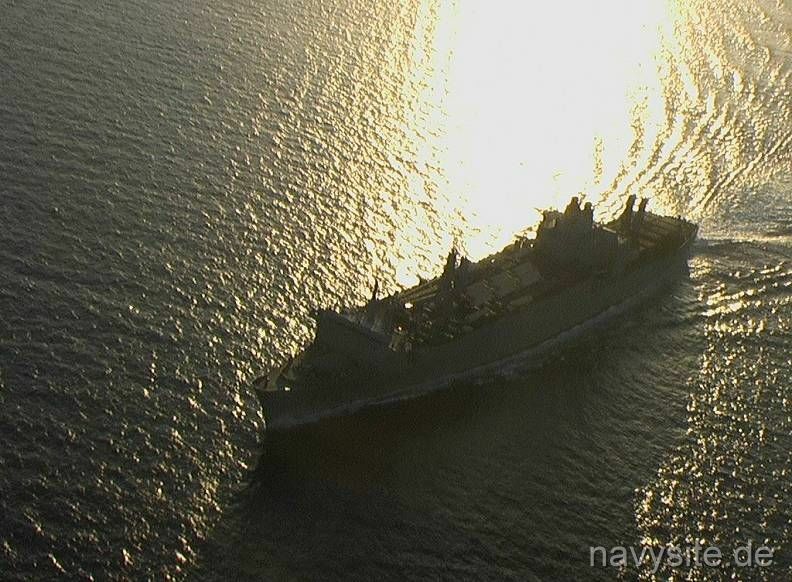 Since then, the REGULUS was involved in several operations including Desert Shield/Desert Storm (1990/91), Restore Hope (1992) and Operation Enduring Freedom (2001 - ). 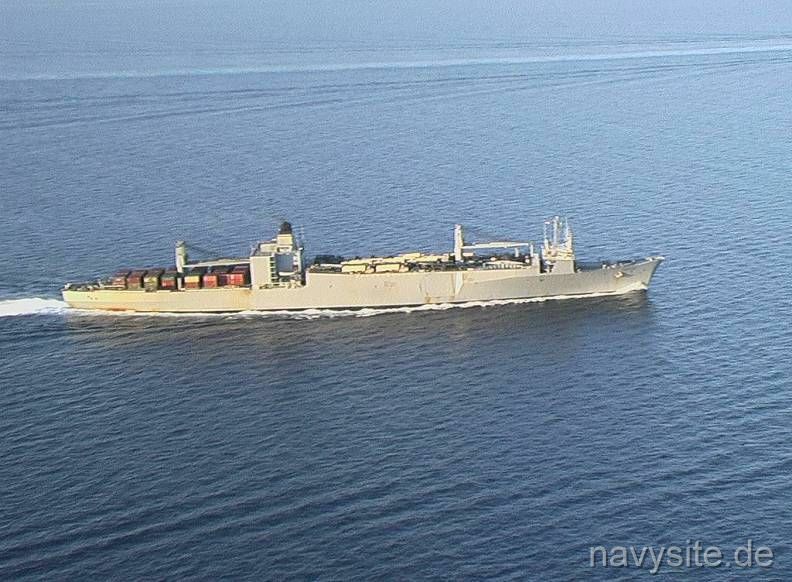 On October 1, 2007, the REGULUS was transferred to the MARAD. 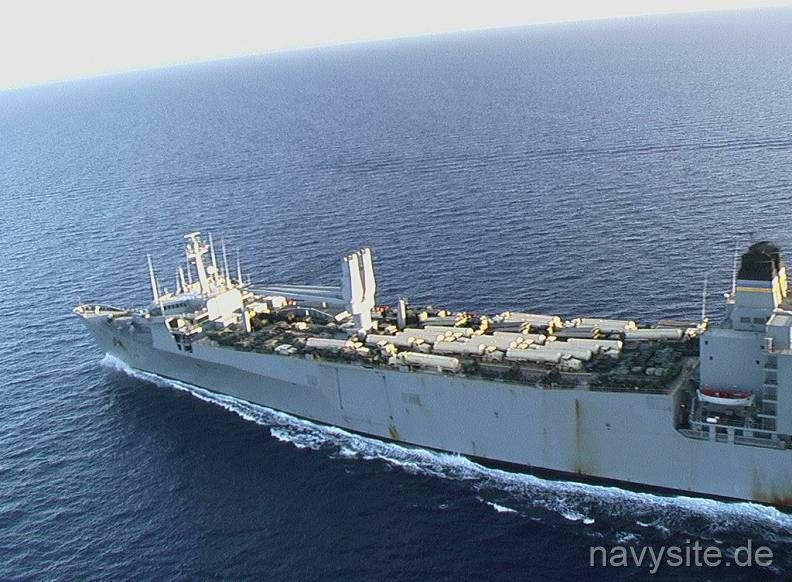 On October 1, 2008, the ship was transferred to the Ready Reserve Force and lost her USNS designation. This section contains the names of sailors who served aboard SS REGULUS. It is no official listing but contains the names of sailors who submitted their information. 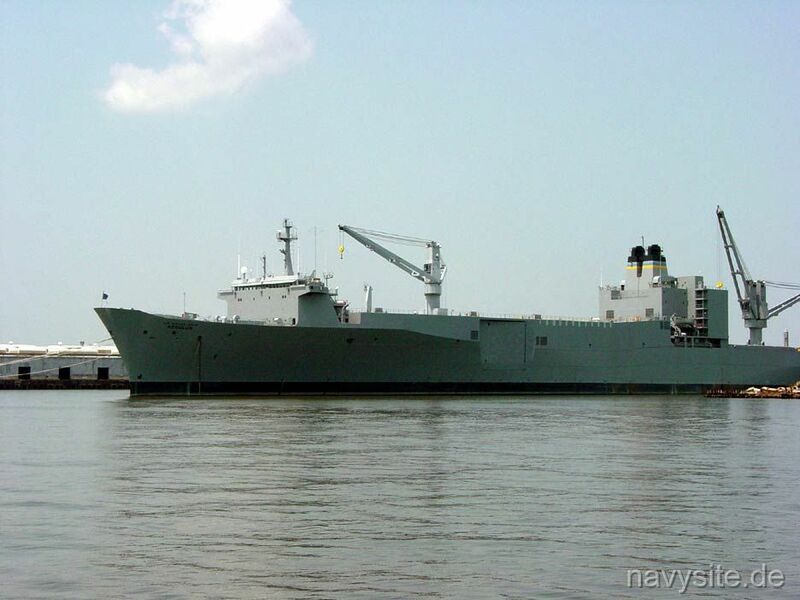 The photo below was taken by Brian Barton and shows the REGULUS at Naval Base Norfolk on July 23, 2002. The photos below were contributed by Stefan Karpinski and were taken by the helo detachment of the German frigate MECKLENBURG-VORPOMMERN (F 218). 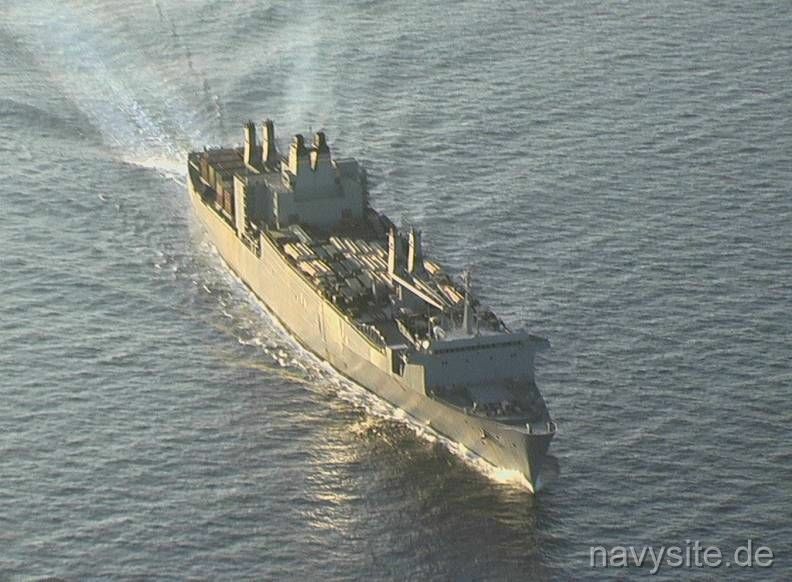 They show the REGULUS being escorted through Bab El Mandeb by the MECKLENBURG-VORPOMMERN during Operation Enduring Freedom in 2003.